Steal the show with these elegant drops! 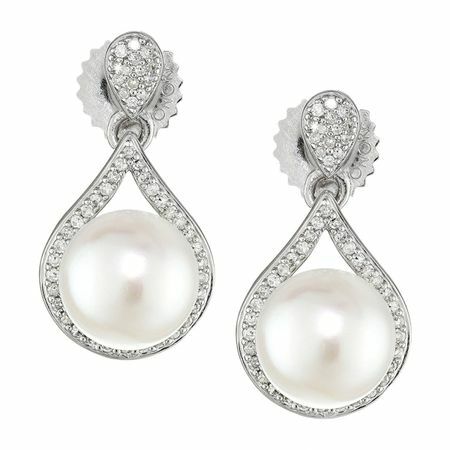 8-8.5 mm freshwater cultured button pearls sit central as the focal point of these sterling silver, teardrop-shaped earrings, decorated with round-cut diamonds totaling 1/4 ct. Pieces measure 13/16 by 7/16 inches.